The Africa Portal The Africa Portal (www.africaportal.org) is an online knowledge resource for policy-related issues on Africa. A collaborative undertaking by the South African Institute of International Affairs (SAIIA) in South Africa, the Centre for International Governance Innovation (CIGI) in Canada, and Makerere University (MAK) in Uganda, the Africa Portal aims to equip users with open access to research and information on Africa’s current policy issues—especially within the Millennium Development Goal areas of climate change, energy, food security, health, and migration. 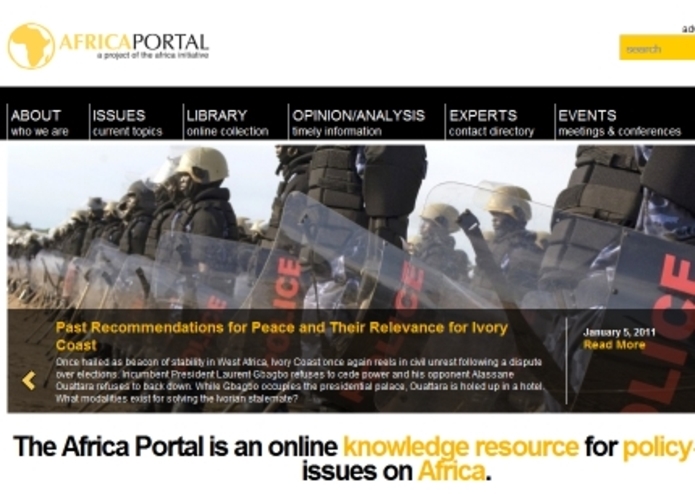 The Africa Portal offers open access to a suite of features including an online library collection; a resource for opinion and analysis; an experts directory; and an international events calendar. 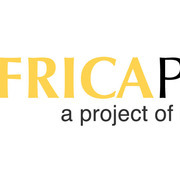 Over 2,500 books, journal articles, backgrounders, policy briefs and other research publications are housed on the Africa Portal under the Creative Commons Licence and are available for free full-text download. Data from the World Bank has been incorporated onto the Africa Portal as a way to present users with relevant, statistical data on key issues areas. Users will find the World Bank data on the side-bar of articles available on the Africa Portal. Currently, data from the World Bank is integrated into opinion piece and backgrounder pages. Here’s how it works: When a user clicks on a headline to an opinion piece or a backgrounder, she/he is navigated to the description of the article and a prompt to download the full-text version. 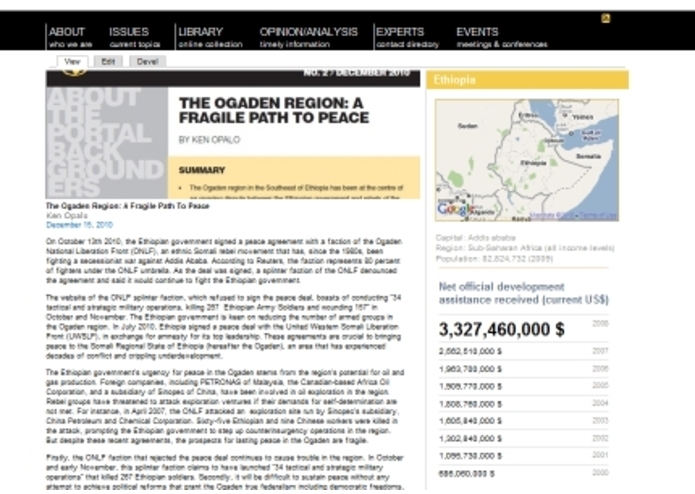 On a right-hand side bar of the description page, the user is presented with World Bank data corresponding to the selected article subject and/or geographic area. The aim of integrating the World Bank data on the Africa Portal website is to equip users with useful statistical information on key areas of interest. See an example of the integration here. Our technical teams will be working to further integrate World Bank data in other areas of the Africa Portal in 2011.